Station Manager Brian Byrne said: “It was a great feeling to be able to reunite Hook with his owner. 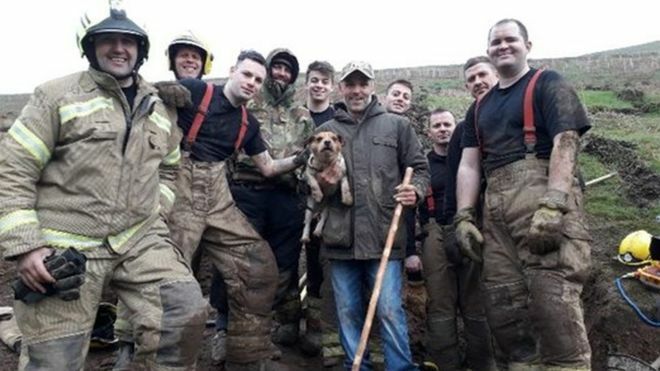 “Our firefighters worked tirelessly as a team, using state-of-the-art specialist equipment, as well as manually digging what probably amounted to as much as five tonnes of soil and stones. Stephen Cobain, the brother-in-law of Hook’s owner, said: “When Hook was rescued we all felt such a relief. Article courtesy of BBC website.